As we stated previoulsy, following the brutal sell off last year, Wall Street got very negative on the companies prospects. This sets up a reasonable opportunity for an upside surprise during earnings season. We added 1/2 of a position last week, and the stock has run up to resistance at the 200-dma. We are looking for a pullback to flesh out the position, so either a pullback that holds support at $170 or a break above the 200-dma that triggers a buy-signal. As noted, we bought 1/2 position in Boeing (BA) following the initial announcement of the 737 MAX crash in Ethiopia. The sell-off held support at previous highs and the 200-dma and is starting the process of building a potential base. This process will take some time as the “news” filters out. Fundamentals remain strong and this event will pass. We are going to give BA some initial leeway and then will tighten up stops as the stock finds its footing. CMCSA finally broke above important resistance and is very overbought currently. 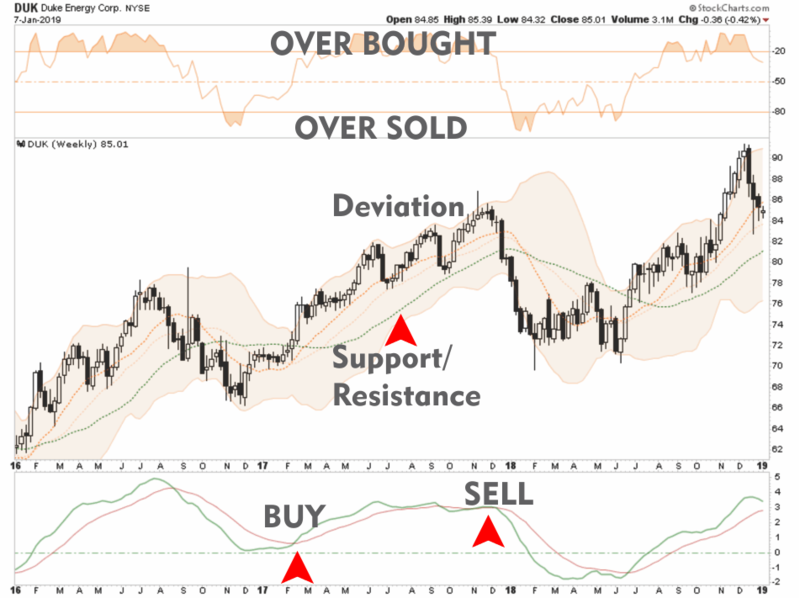 We noted previously we were looking for a pullback which works off some of the overbought condition. That has not occurred as of yet, so we will remain patient. We are looking to add to the position at $39 and would like to see some consolidation first. We are going to sell Federal Express (FDX) in the morning, as the company has now missed earnings twice in the last two quarters. While the company fundamentals remain sold, the global weakness continues to weigh on performance. We will look for a replacement for FDX after we close out the position tomorrow morning. Since adding MSFT to the portfolio, it has broken out to all-time highs. While close to triggering a “buy” signal, MSFT is extremely overbought short-term. We are looking for a pullback to the recent highs, or some consolidation of the recent advance, to add to our position. We initially bought MMM on the idea of a trade war resolution. The recent rally has triggered a “buy” signal, but MMM is extremely overbought. We initially bought 1/2 postion in MMM and are looking for an opportunity to increase exposure. A break above $210 will likely be that entry point. After the initial failure at resistance, MMM is trying again to break above multiple tops. We used that sell off as an opportunity to add to both positions. Both positions have rallied off the recent lows reinforcing support levels. We recently added a position in gold to our portfolio after having been out of the metal since 2013. The recent pullback to support gave us the right opportunity to add the second position bringing IAU to target portfolio weight. Stop-loss is tight at $12.20 currently. JPM has rallied recently above its 50-dma finally broke out of its price wedge it had been building to the upside. With JPM very close to a buy signal, we added 1/2 position to the portfolio last week. If JPM can break out above its 200-dma we will add the second 1/.2 of the position. However,we will carry a fairly tight stop for now at $100. We previously added 1/2 position in UTX to our portfolios and since then have had a stellar advance. With the recent break above the 200-dma, and a triggering of a “buy” signal, we are looking for a bit more consolidation to add to our current holdings. If UTX can hold $125 during the this consolidation, we will add the second 1/2 to our holdings.